In a country defined by culinary excellence, travelers have high expectations for food. The truth is, many restaurants in Florence charge too much for a half-decent food. Eating authentic Italian cuisine is the goal; however, you have to know where to find these traditional eateries. Mercato Centrale (The Central Market) offers both an authentic produce market on the first floor, and a versatile selection of Italian food stands and restaurants on the top floor. If you want us to take care of the tickets and details of the best things to do in Florence, check out our selection of Florence tours. These include small group and private Uffizi Gallery tours, walking tours with the David Statue and delicious food tours. 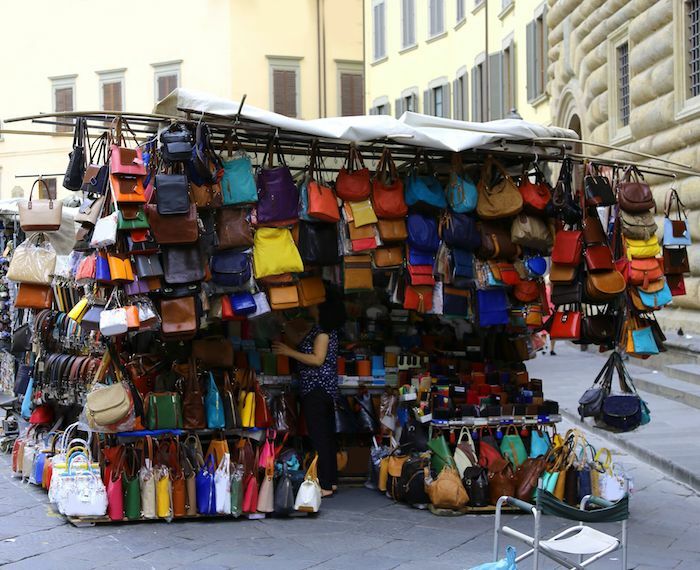 In the olden days, before Amazon.com, people sometimes visited Florence solely to purchase leather. Whether you’re visiting the famous Massimo’s leather shop for the first time, buying a classic Stella McCartney-inspired handbag, or simply walking through the area, Florence’s famous San Lorenzo Market is jam-packed with travelers from all around the world. Some people even group Mercato Centrale as part of Mercato San Lorenzo because of their close proximity. Go for a bite to eat in one of the many delicious eateries in Mercato Centrale during your shopping spree! It’s common for Italian restaurants and shops to close for a few hours in the late afternoons and early evenings. This is because business owners relish the time to spend time with family and prepare for upcoming meal time. With all the hustle and bustle of travel, sometimes a quick bite is just what you need before catching a flight or going on a tour. Mercato Centrale is open from 10a.m to midnight. This makes it a super convenient place to fuel up when many Italian businesses are closed. 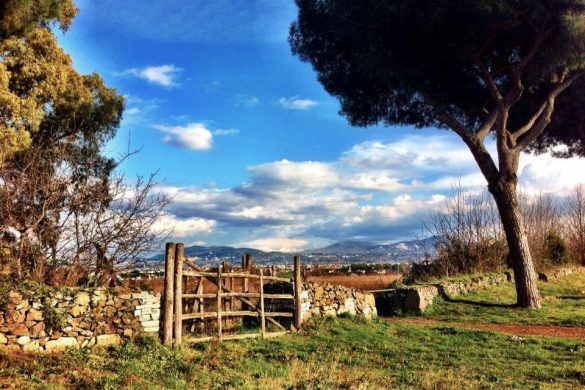 Why sit inside when you can enjoy the warm Tuscan sun? Grab your grub from Mercato Centrale and head outside. Pick a spot in Piazza di San Lorenzo or Piazza di Santa Maria Novella and enjoy the local ambience. 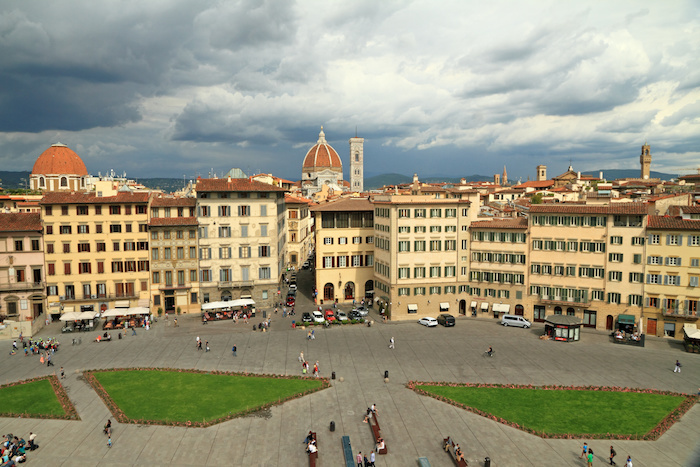 Both piazzas provide stunning views of two of Florence’s most iconic churches, San Lorenzo and Santa Maria Novella. While Piazza San Lorenzo is directly across from the market, Piazza Santa Maria Novella is a few blocks away. The church’s iconic facade and quaint enclosed piazza provide an outstanding backdrop for a picnic. Not only does Mercato Centrale offer an abundance of tasty treats to choose from, but it also offers a variety of cooking classes. The Cucina Lorenzo de’ Medici features many classes that focus on cooking different Italian delicacies including Italian pasta, authentic Florentine steak, truffle dishes and seafood. Before you know it, you’ll be an expert at preparing the most delicious and authentic Italian food back home. Your family and friends will thank you. In Florence, there’s a consistent pattern of shops. It’s common to spot a coffee shop, a panino shop, a trattoria and then a leather shop. The pattern repeats over and over, making it hard to remember where you are. Although classic Florentine cuisine is deeply satisfying, it’s also repetitive. 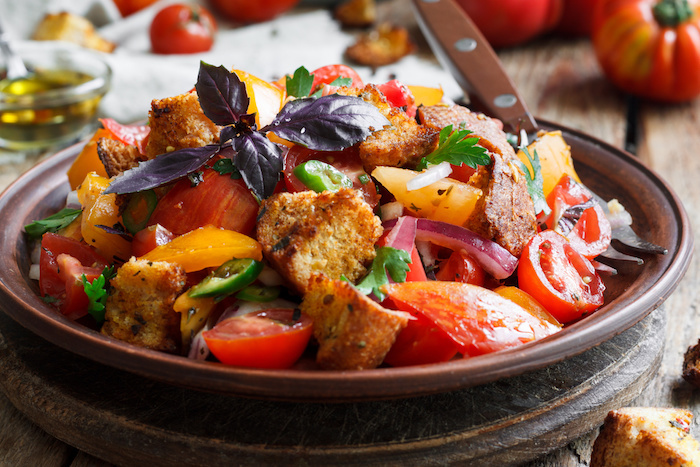 After several days of the best pizza and pasta, you may find yourself craving something different. Mercato Centrale not only provides delicious Italian eats, but also selections from other cultures. Take a break from your carbo-loading with some food from “Il Sushi,” “L’Hamburger di Chianina” or “Il Vegetariano e Vegano” in the food market. Italians do everything in style. Similar to Italian food, Italian architecture is an integral part of their culture. 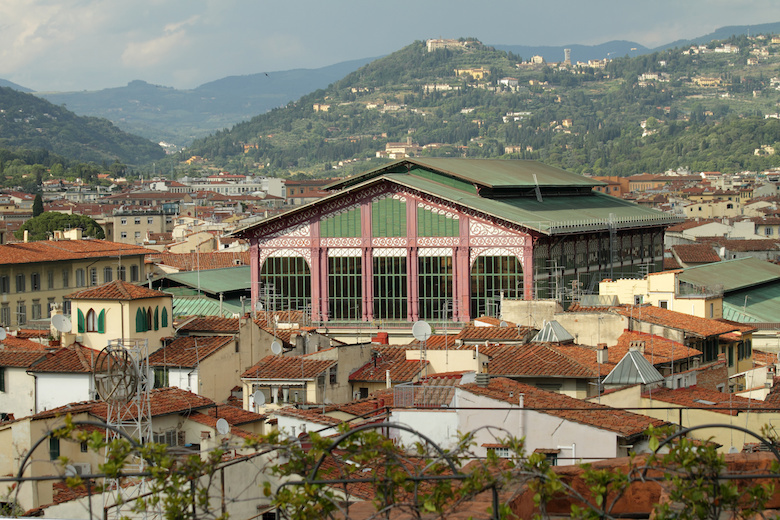 Travelers often visit Mercato Centrale for its architectural significance to the city of Florence. Designed in 1870-74, Mercato Centrale was designed by Giuseppe Mengoni, the same architect who created Galleria Vittoria Emanuele II in Milan. At the time of its design, Florence was still the capital city of Italy. Constructed of cast iron and glass – the building reflects an awesome combination of the traditional and modern cuisine that the market inside offers. Mercato Centrale offers any Italian delicacy you could possibly crave, whether it’s a simple ingredient or a lavish meal. Head over to this wonder of Florence and check out the selection. Buon appetito! Follow our adventures in Italy on Facebook, Instagram and YouTube. Then, comment and tell us what you want us to cover next. After studying abroad in Florence, I became drawn to Italian people, culture, and most importantly, the food! Traveling anywhere and everywhere is my dream, and I can't wait to see where my career in the travel industry takes me. Ask me about music, curly hair products, comedy, Broadway, or grammar, and I will talk your ear off for several hours. I googled the Mercato Centrale, and one can walk right through it, down almost every aisle! Not quite as good as being there, of course. Ha, well when are you going for real? I’m getting hungry now. Do you know if any of the food vendors offer gluten-free options or have GF bread for those with allergies? Is Florence gluten-free friendly? Ciao Cindy! Thanks for reading! Yes, there are gluten free vendors at Mercato Centrale. There’s even a vegetarian and vegan food stand just to play it completely safe. Italy has gotten a lot better at providing gluten free options. All you need to do is ask the vendors, and if that specific stand doesn’t have what you’re looking for, they’ll direct you to a vendor that does. Just remember “senza glutine” and you’re on your way! And hey, while you’re in Florence, check out our Florence food tour if you’re into the foodie scene!